Imagine Your Life Without Debt. Bankruptcy Attorney in Columbus, Ohio! Is it finally time to get out of debt and change your life? Welcome to Jump Legal Group. With three convenient locations in Columbus, we are the expert bankruptcy attorneys in the area. If you’re tired of the endless calls, sleepless nights, fighting over unpaid bills, the onslaught of certified mail, threats of wage garnishment, fear of the unknown, and constantly being turned down for credit…we say, why live this way? 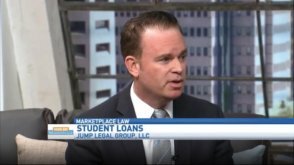 The bankruptcy lawyers of Jump Legal Group can put an end to all of this. We have helped thousands of individuals and families eliminate debt, and we can help you too. Don’t wait another day! Call us today to schedule a free consultation with one of our friendly and trusted attorneys who will walk you through the process and help you take your first step towards a fresh financial start. We pride ourselves on the fact that our clients always leave our office feeling better than when they arrived. Our legal team is knowledgeable and experienced when it comes to both bankruptcy and non-bankruptcy solutions. At your very first meeting, your lawyer will help you take control of your situation. Our experience enables us to find the perfect solution based on each client’s specific needs and set of circumstances. For instance, you may be receiving harassing phone calls from a creditor, which does not require a bankruptcy to resolve; likewise, you may need to lower your student loan payments, which also does not require a bankruptcy. Whatever your circumstance, we are committed to bettering the lives of our clients and getting them the fresh start they deserve. Like each individual, each case is unique. We provide legal representation for clients in Chapter 13 and Chapter 7 bankruptcy, debt settlement, foreclosure defense, mortgage loan modifications and protection from creditor harassment under the Fair Debt Collection Practices Act (FDCPA) and the Telephone Consumer Protection Act (TCPA). Our attorneys are on your side. We understand that our clients are good, honest people who have come upon hard times. Bankruptcy is an option, but it is not the only one. Whatever your needs, we work with you to achieve a positive outcome that eliminates your debt and ends your frustration. Rest assured; there is life after bankruptcy. We can point you in the right direction to help rebuild your credit, your finances and your life. With the right plan and a concentrated effort, you will be able to rebound from your current situation and safeguard yourself from future financial problems. Sometimes things just happen, and there is no shame in filing bankruptcy. We’ll get you back on the right path by either wiping your slate clean or drastically reducing your repayment amount. Imagine what it will feel like to lay down to a peaceful night’s sleep, uninterrupted by worry and dread. 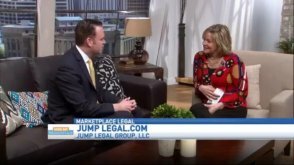 Jump Legal Group can help you get there; call today! No Hidden Fees! Unlike other law firms in town, we don’t bill you for separate services like executing a reaffirmation agreement or fielding harassing creditor calls. You will know all of your costs upfront. 20+ years of experience. No matter how unique your situation is, chances are we have likely seen it before and achieved a favorable result. In fact, other lawyers regularly call us with questions! Results driven. Our firm takes a holistic approach to obtaining the results our clients want. Caring and compassionate attorney-client relationships. Stated simply, we take a personal interest in our clients’ lives. Life after bankruptcy. We don’t forget about our clients after their case is over; we provide them with the tools necessary to rapidly repair their credit. As bankruptcy and debt relief attorneys in Columbus, Ohio, we give you the opportunity to change your life; but you can’t change your financial future until you start the process. Contact us today to schedule a free initial consultation with an experienced attorney. You will always speak with an attorney and all communication will remain confidential.